Notebook: H 258mm x W 147mm x 21mm. 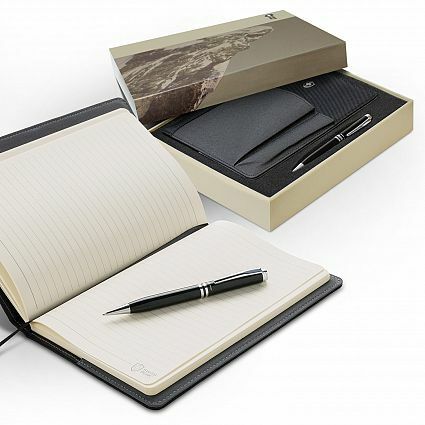 Executive notebook and pen set which is beautifully presented in a printed Swiss Peak gift box. 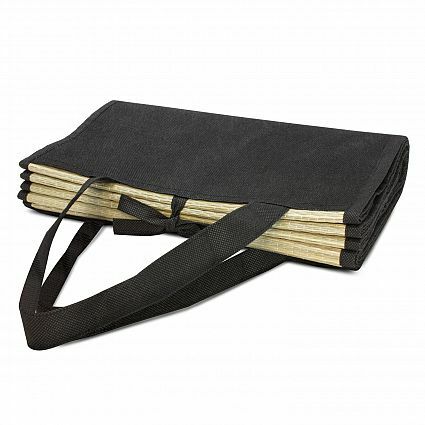 The medium size notebook can be removed from the cover and has 80 leaves (160 pages) of lined cream coloured paper of the highest quality along with a book mark ribbon. 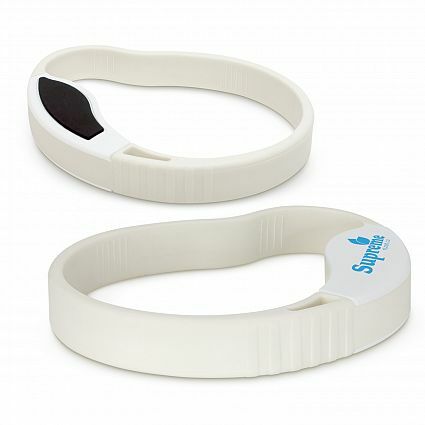 The cover is manufactured from luxury 1680D polyester and the front features a pen holder and a pocket for holding a phone or business cards etc. This stunning set is completed with a sophisticated Swiss Peak twist action, heavy brass ball pen with a long life Blue ink Cross refill.